Hey guys, it’s been a while since I have a written a blog and was thinking what should I write next and then in August, I hear the saddened news that Robin Williams who embrace my childhood has died and what makes it more sad that the cause of death was suicide which relates to depression and I feel I should talk about this as it’s an important subject matter that needs to be addressed. Every day in our lives we have days that are up and downs. It’s natural in where you feel miserable and when it arises, we seek help from our friends and family and they are willing to help. But when the problem is a mental illness issue, they are unwilling to help. People are dismissive about this issue. Why? Because they feel it’s not an important issue. Some people will think it’s part of life and after a few days/weeks they will get over it. But what I believe is the main reason is that people don’t have an understanding of mental illness. Maybe for depression it’s not physical so you can’t see that the person is suffering. However people are ignorant on this. Instead we say to a person who is suffering from depression to “Pull yourself together and take a walk and you will be fine.” and that’s how to help a person who’s depressed. That’s incorrect. Instead of encouraging and supporting the person, the person will become more isolated, disheartened and with that the illness may worsen. To me it’s a major disappointment that there hasn’t been enough investment for mental health research. According to Research Mental Health, Mental illness causes 15 per cent of the country’s disease burden but receives just 5 per cent of total health research spending. Although £74m is spent on researching mental health the money mostly goes to government agencies. For cancer, received 27% of research funding and you can tell there’s more awareness as you see campaigns and advertisements enlighten the issue. But for mental health you don’t see a lot. Cancer and mental health should be given equal treatment as they both have an impact on a person’s life. If there’s more awareness and research put into place for mental health, then people will have an understanding in how serious the issue is, be able to help the people in need and reduce prejudice and stigma. Since the death of Robin Williams, I have seen people reactions from social media regarding this and I am outraged. I hear people say they have no sympathy for a person who committing suicide, it’s a selfish act and why take your own life in where you have years ahead of you. Depression affects people in every age. A person who has depression will feel worthlessness, have low self-esteem and not enjoying things they find pleasurable. Robin Williams unfortunately was in a vulnerable way because of the issues he had and felt suicide it’s the only option as he felt rejected. It gets me angry when a person criticises someone who has depression. It’s not their fault to feel this way. And as I mentioned before there’s a lack of understanding of the issue. It’s a serious illness yet people regard this as minor issue. You may be thinking why this subject matter is important to me and why I get a bit sensitive on this? Because unfortunately, I suffered from depression a few years back. I don’t want to go into too much detail but when I had it, I was in a dark lonely place. I felt unworthy, isolated and I cried out for help as I seek comfort from others. It was a battle for me and I was thinking whether this is ever going to end but by the grace of God and with the help from my friends, I eventually got through it. In a way, it’s good this has happened to me as it has changed my perspective in my life. I am not saying it’s good to have depression far from it as it’s one of the worst experiences you will ever have. What I am saying is that it has made me a stronger person but most importantly to be happy and to be positive around others. In order to have a better health, being around with others is a step in escaping depression as you feel that you are valued when people spend time with you. It certainly helped me and for people who have this illness, it is beatable and with time and care from others you can get it through it. Don’t lose hope. That’s why since I overcome this, I want to be someone’s motivator, encourager and be inspiring to others. I want to display a positive outlook and I believe depression has made me to feel this way. Why be sad when you can happy? Of course you can’t be happy all the time but whenever I have difficult situations, I mostly make an attempt to remain happy. As this is a sensitive issue, people may find this uncomfortable so instead of talking about it, they reject the issue. Well it needs to be addressed so people can understand that having mental health illness such as post-traumatic stress disorder, bipolar disorder and of course depression are serious illness. And because I want to raise awareness, I’m going to mention some facts and statistics. 1 in 4 people in the UK will experience a mental health problem in their lifetime in where depression is the most common health problem and with a population of over 60 million people, that’s an estimate of around 15 million people. According to sources from Young Minds nearly 800,000 children and young people have suffered from severe depression. With depression, people will also experience anxiety and it can make the illness worse. Surveys conducted that are founded by Mental Health Foundation that Women and younger people are more likely to say that anxiety has impacted on their lives. Also women and young adults who are aged 20–29 are the most likely to seek help for anxiety from their GP. The causes of having an illness such as depression and anxiety is relationship breakdowns, overthinking and life events that have trigger their lives such as bereavement. Unemployment is an example in where people who are unemployed have significantly higher anxiety levels than those in employment. With that, you get a strong feeling of guilt, worthlessness, lack of concentration, uninterested of life and suicidal thoughts. That the symptoms of someone who’s depressed. 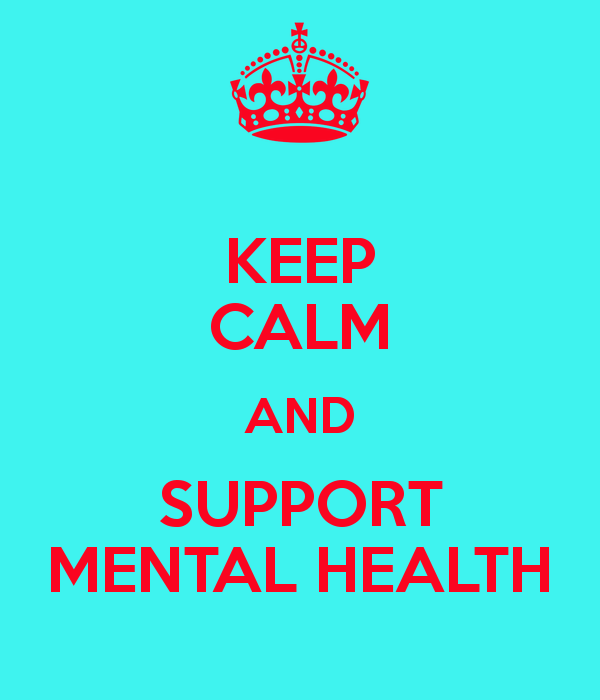 However as I mention at the beginning that mental health issues are stigmatised. If a person tells someone they are depressed, people may ridicule it and laugh it off. That’s why people are suffering in silence as they afraid to speak up and if they do they’re stereotyped. A survey questionnaire was conducted by the NHS in 2011 in where 1,741 adults took part gave their attitudes to mental illness and 21% of them agree that ‘Anyone with a history of mental problems should be excluded from taking public office’ and ‘As soon as a person shows signs of mental disturbance, he should be hospitalized’ In the media, there’s a myth that people with mental health problems are aggressive, violent and crazy and as the media can be so influential, people will believe it. However, statistics will prove otherwise. From a report from Mind called. At risk yet dismissed, People with SMI were five times more likely to be a victim of assault, and three times more likely to be a victim of assault. They are targeted as the perpetrator knows the victim has mental health problems and as a result they exploited them. And finally when a person who has a mental illness and has been a victim, when it’s reported to the police, instead of supporting them, they neglected them and one who participated in this research says “They assume I’m violent. They see their job as protecting the public from schizophrenics, they do not see their job as protecting schizophrenics from the public.” It was unpleasant when reading these findings as it shows the difficulties people with mental health have faced. However it’s good that these findings were conducted so people like me can view it and share to the readers of this blog. 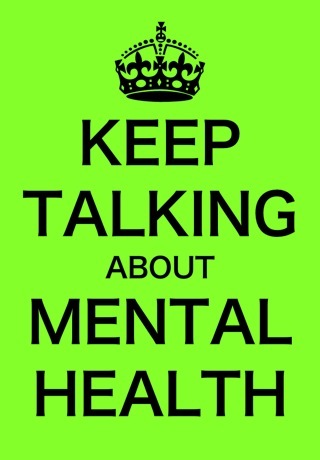 To conclude, mental health is an issue that should be more publicise but instead it’s been dismissed. It’s deemed not important despite being a health problem and as a result, people have no understanding of it and a person who has a mental illness will get criticise for talking about it. A quote from the late Robin Williams says “No matter what people tell you, words and ideas can change the world.” He’s correct. Words are a very important aspect for a human being. The words we say can be influential, make someone fall in love with us or for someone to dislike us. So instead of using words that are discouraging, use encouraging words as it would be help a person who’s has a mental health condition. It will make the person feel they are worthy and feel that their life is something that is cherished as they’re in a vulnerable state. Also it’s important to keep regular contact with that person as it make them feel better and it will show that you care. And when you contact that person, communication is the key. All the person wants is for someone to listen, understand, not prejudice and show them love as love is the most important thing a person can gave. It’s pretty straightforward yet people don’t know what to do when this situation arises. That’s why I believe the government should invest more of mental health research so doctors, counsellors etc. can have an understanding of it. Also they should be training courses for the public so they can learn more about it and use it to help someone they know who’s batting with this condition. Depression, anxiety and bipolar disorder are mental illnesses and should have the same treatment as people who have cancer as they could die from this. 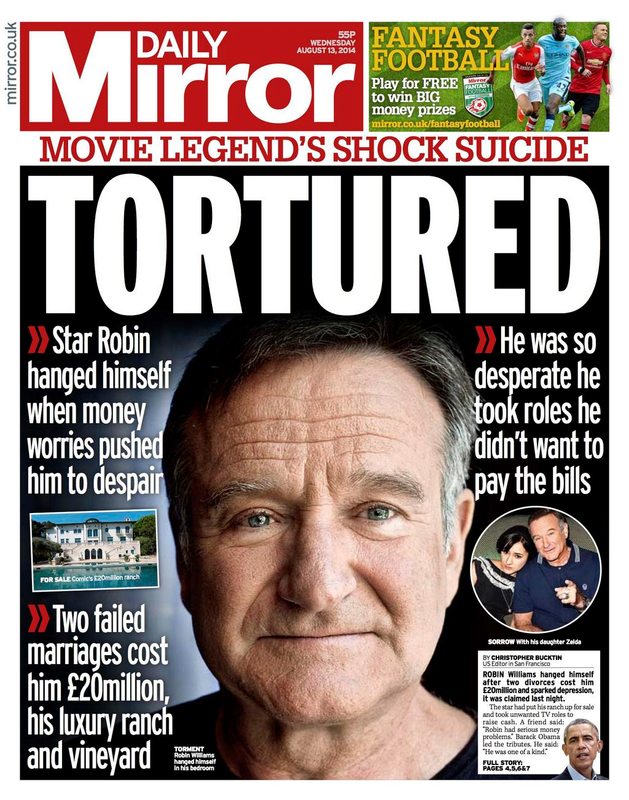 Unfortunately you get the press write detail information in how a person committed suicide due to mental illness just to sell papers despite receiving guidelines prior from organisation called Samaritans that it could be copied to someone who’s has similar circumstances. 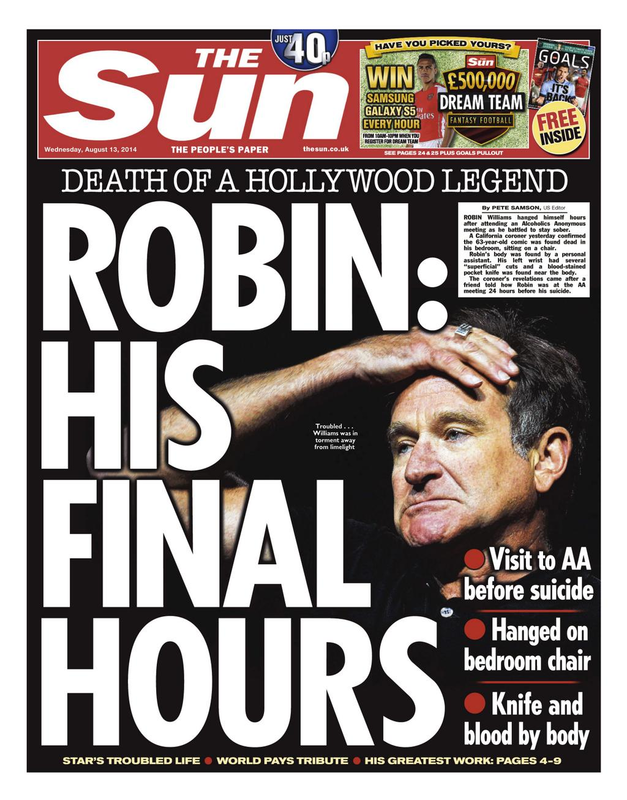 The press did it to Robin Williams and it was unacceptable. Although it’s improving slightly, the stigma of mental illness remains and it’s going to take a while for it to decrease.